The first official week of summer is upon us and it’s time for all the fun the season brings; cookouts, swimming pools, cold ice-cream, vacations, lots of time outdoors and much more. Unfortunately, all of this summertime fun can lead to some not so fun issues with your plumbing. Here’s a list of five common summer plumbing problems and ways you can avoid them. With all of the extr a time, you and your family will be spending outdoors, your clothes will get dirtier and you’ll likely be changing your outfits faster than normal. This means that your poor washing machine will be working overtime during the summer months, which can lead to some serious issues. Check your machines hose for any signs of damage. Keep in mind that your hose should be replaced every three years or so, to avoid more expensive maintenance issues. Make sure your washing machine is about four inches or more away from the wall, to prevent any new damage or kinking of your hose. Try to only run your washing machine when you are home so you can stop your machine if it starts acting up. After a long cold winter, BBQ season has finally arrived and you’re loading up on lots of grilled yummy foods, just be careful about what foods you feed your garbage disposal. Remember your disposal isn’t meant to handle everything, some foods should just be pitched. Avoid putting food items like corn cobs, potatoes, watermelon rinds, chicken or other bones in your disposal. Additionally, shoving too much food into your disposal too fast may damage or break your disposal. Keep in mind that portion control could save you a lot of stress and money during this summer’s cookouts. The warming weather brings more humidity with it, which can cause your ducts to “sweat” from the extra condensation, which can lead to long-term issues if the extra water can’t drain properly. Check to make sure all of your drains are clean and water can flow through freely. Check the drain pan, if you have attic installation, and make sure there isn’t water building up in the drain pan. 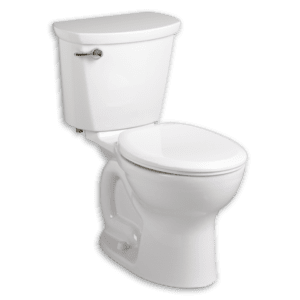 People tend to use the toilet more during the summer months. Some toilets may have difficulty dealing with the extra workload. Consider using less paper when you can. Explain to young children that they only need to flush when they actually use the bathroom. Freshly potty-trained children tend to over flush. Summer means lots of time in the water. Whether you’re kicking back next to the pool, running through the sprinklers, watering your lawn or filling up water balloons, you’ll want to ensure that the water keeps flowing. Check your embedded sprinkler and make sure the heads are clear and be careful not to run them over while mowing. Keep your pool’s filter clean and keep an eye out for leaks on aboveground pools. Replace leaking hoses, to keep your water bill under control. If you’re still concerned about the condition of your pipes or have other plumbing concerns and you would like an inspection from a local plumbing professional, you can schedule an appointment online or give Tiger Plumbing Services a call today at 1-866-TIGER70. It’s been a very wet couple of days, how’s your basement holding up? If you are like a lot of people in the area, you are about to find yourself standing knee-deep in dirty rainwater. Basement flooding is an expensive and stressful side effect from all this rain we’ve been getting. This is especially true if you have a finished basement since mold can flourish in wet installation. The key to avoiding all of the havoc and high cost, which accompanies the hassle of a flooded basement, is to make sure your sump pump is prepared to keep up. Your poor sump pump has been working overtime and it’s time you gave it a little TLC. Most basement floods are the result of a sump pump that failed or just couldn’t handle the amount of water it was meant to pump out. Just because your sump pump hasn’t failed you so far, doesn’t mean you’re not in for a huge, messy surprise. 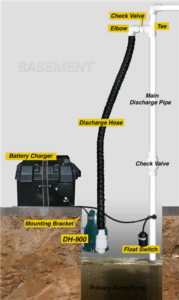 Screen: All sump pumps have a screen that allows water to flow through. When this screen becomes clogged, water will no longer flow through the screen as well. If the water can’t flow through the screen fast enough, it will back up and overflow, causing a flood. Occasionally checking to make sure your sump pump screen is not becoming clogged will ensure that water can continue to flow freely. Switch: The switch on your sump pump could be damaged or become stuck. If this happens, the switch may fail or function improperly, causing flooding issues. By checking your switch on a regular basis, you can clear away any debris that may become stuck to the switch and cause it to be damaged. 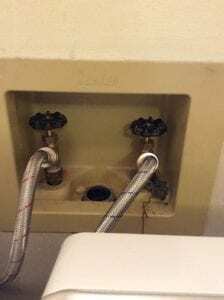 You can also make sure that the switch is not being shoved against the side of the basin, helping to ensure it doesn’t become stuck. Circuit Breaker: If the circuit breaker your sump pump is connected to trips during a rain storm, your basement could flood very quickly. You can help prevent this from happening by making sure that your sump pump is connected to a breaker, all by itself. Don’t overload the circuit breaker with other large appliances and make sure you ground your circuit breaker with a fault interrupter. Sump Pit: Like the sump pump screen, if the pump impeller or the discharge tube in the sump pit become clogged, major flooding can occur. Take a few seconds to check the sump pit for mud or debris, which might cause a clog. Taking the time to check these four items off of your sump pump checklist, will really save you a lot more time and money down the road. If you’ve completed this checklist and you’re still concerned about the state of your sump pump, you may consider adding a backup. If you have a sump pump that runs regularly or if there is the potential for large amounts of rain to fall in your area, installing a backup will help keep your basement dry. Air conditioning repair is an inevitable part of home ownership. 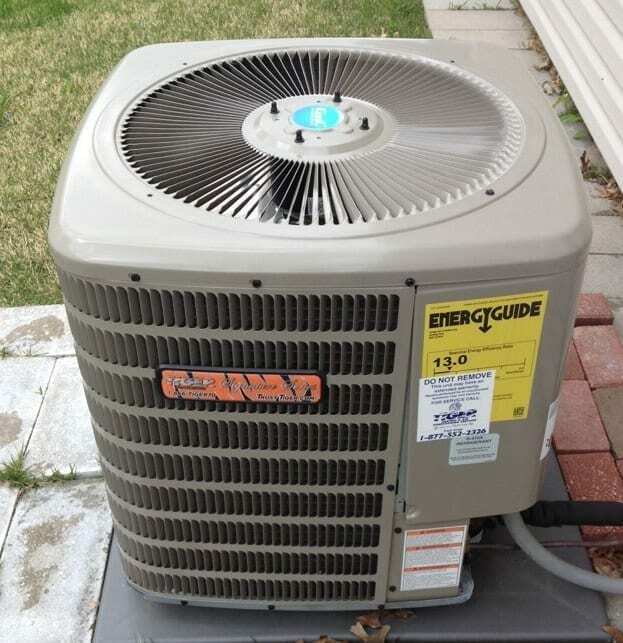 There are connection breakdowns, fluid leaks, and function disparities that occur throughout the life of an air conditioning unit. 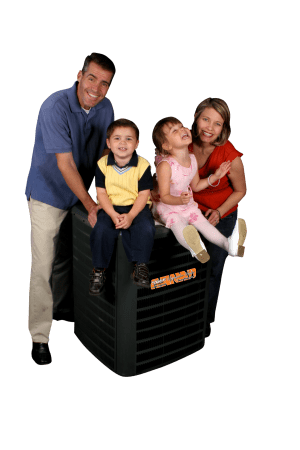 Of all of your home appliances, it is particularly uncomfortable when your cooling and ventilation system is no longer performing as it should. Although most homeowners rarely ever check on the components of their air conditioning system until there is a pressing issue, annual maintenance is critical to the proper functioning of the unit. We all expect it to work when we need it to, and that’s during the hot months of the year. Annual maintenance proactiveness will lead to a good night’s rest and comfortable weekends, because we all know that appliance issues occur when we’re relaxing at home, never when we’re away. Hopefully you won’t ever have to experience your air conditioning system going out on you, but if you’re reading this, you may have. It is a mechanical system and all mechanisms not only require maintenance throughout their life of use but they also require regular service and tune-ups. Frankly, air conditioning repair is just a part of owning one. After a long winter of not being used or checked, it can surprise you with odd sounds, temperature disparities, or mechanical or starting malfunctions. Perhaps critters or leaves became stuck inside over the winter. The weight of snow or driving winds of winter may have caused the fins or fan to warp. There are too many ways to count that your air conditioning unit could begin to malfunction or not even start. Regardless of the hundreds of reasons that you may need air conditioning repairs, an inspection usually turns up a few common unit issues. The most prevalent concern is a frozen coil brought on by low refrigerant due to a leak, or dirty filters. A few other concerns are the outside unit’s general function, such as the power source, voltage distribution center, thermostat, or fan malfunctioning, which could lead to overheating: whether from rare use or around the clock use. Lastly, low refrigerant and wiring issues can impact the entire system as well. The refrigerant is responsible for cooling the air that the unit pulls from outdoors so if there is a leak along the route of its process, it can definitely bring about air conditioning inadequacies. Air conditioning systems shouldn’t leak refrigerant, so if you find yourself needing a “charge” every year, there is definitely something more serious going on. Defective or damaged wiring cannot only cause malfunctions because of the lack of sufficient power, it is also a fire hazard. In the end, regular unit inspection from the inside coil to the outside unit is critical to not only your cooling system’s use, but to prevent further damage, and to avoid air conditioning repair any time in the near future. 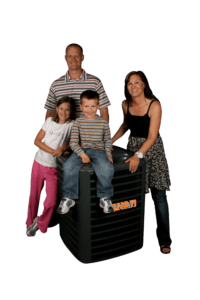 If you feel that your air conditioner is not performing as well as it should be, or would like to have it inspected by a certified local professional, schedule an appointment online or give Tiger Heating & Air Conditioning Services a call today at 1-866-TIGER70. It’s starting to heat up here in the Midwest, and that means that we’ll be turning on our air conditioners soon, perhaps for the first time this year. What happens when we change the thermostat and nothing happens? Our air conditioner doesn’t turn on, or it does, but is not blowing cold air? Air Conditioner repair is sometimes necessary. It’s important to have a diagnostic check on your system prior to having it run for the next couple of months nonstop. 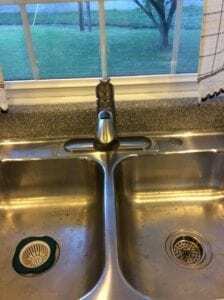 Though the repaired system in the home will continue to work for years, sometimes decades, repairs are no longer possible in some instances. In this case, making the decision to install a new system is often a good one. However, you should not base this on factors such as the age of the current system. Rather, you should be able to get help from a trained technician who can provide you with more information and guidance about when to replace an existing system. In many cases, air conditioner repairs are possible and, often times, probable. If the system is still within its warranty, then performing repairs is easy to do. Even those that are significantly older can still be fixed rather than replaced. If the system is maintained and all appropriate preventative maintenance steps are taken during its lifetime, the system is likely to need just updates or replacement of key components. However, repairs will not be good enough in some situations. That includes situations like the following. Does the system require a very expensive replacement part? For example, if you need to replace the condenser or the motor, it may be more cost effective in the long-term to replace the system. This is especially true when there are instances in which possible breakdowns from other compenents are likely. Is the system no longer efficient? Over time, the system may become harder to maintain and to keep running efficiently. 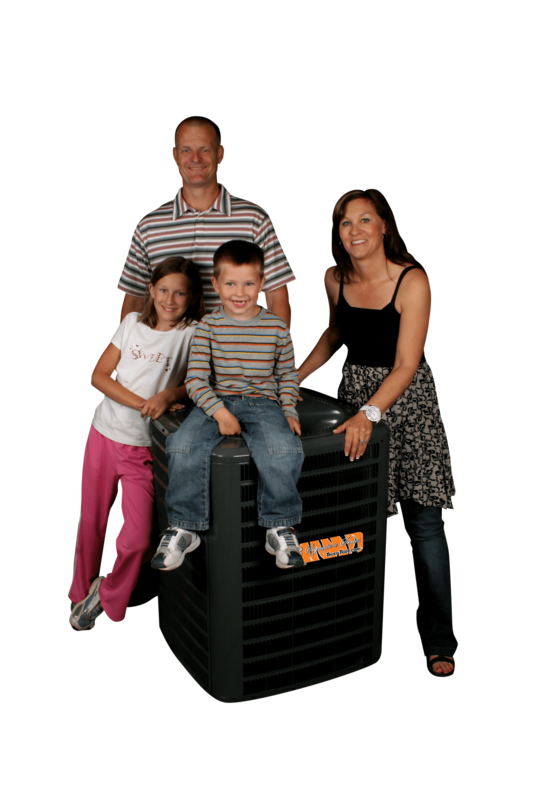 If you are spending more on your energy bill to cool the home than you used to, it may be time to replace the system. Those systems older than ten to fifteen years are often less efficient than newer models. Does the system no longer provide enough cooling for the home? If so, it may be a good idea to replace it. A system that is too small or one that is not properly working can become a risk for the home. Replacing it could save money in the long-term. Overall, air conditioner repair is the first step. Discuss your needs for this with your technician. He or she will conduct a thorough inspection of the current system to determine what the problems are, if there are any, and then will offer recommendations about whether repairs or replacement is best. Sometimes the repairs are simple and inexpensive. In other cases, newer models can pay for themselves over the short term by reducing energy consumption needs. A trained technician can help you to know the difference. Schedule an appointment online today, or give Tiger Heating & Air Conditioning Services a call at 1-866-TIGER70.